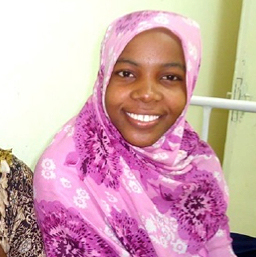 Halima shouldn’t have to wait 10 years for life-changing fistula surgery. When she went into labor, it took two days for Halima to convince her husband to bring her to a health facility. She needed a cesarean section. But they had no anesthesia. The pain was unbearable, but when she screamed, they started beating her. Her baby could not be saved and she developed what she later learned was an obstetric fistula. Her husband left her because he could not stand the smell caused by her injury. She suffered for ten years with fistula before learning that she wasn’t alone and that treatment was available. After ten years of leaking urine and feeling unclean according to her personal beliefs regarding purity, Halima was finally able to pray again. No woman should suffer like this. Every woman should have access to life-changing fistula surgery.